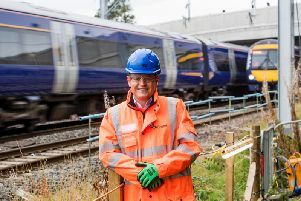 Weeks ahead of the first Edinburgh-Glasgow rail journeys being cut to 42 minutes as part of an £858 million upgrade, a new book has highlighted that a service only one minute slower was launched between the cities nearly 50 years ago. New electric trains with faster acceleration and more seats will cut end-to-end trips on ScotRail’s flagship route from an average of 51 to 47 minutes from 10 December. However, only two services a day between Edinburgh Waverley and Glasgow Queen Street will be speeded up to 42 minutes, with some of the others following next year. Other trains on the line will have to be switched from slower diesels first. The move is the latest stage of the Edinburgh Glasgow Improvement Programme (Egip), which was due to have been completed in 2016. Setbacks have included delays to electrifying the line and problems with the new Hitachi trains, such as their windscreens and brakes. David Spaven is behind The Railway Atlas Of Scotland. The trains have yet to be lengthened to eight carriages, and the redevelopment of Queen Street for longer platforms is not expected to be completed until 2020. Under the original Egip scheme, journey times would have been cut to 37 minutes. However, that was shelved six years ago when ministers slashed the project’s budget by one third to save money. The new 42-minute services will stop three times en route. By contrast, a new edition of The Railway Atlas Of Scotland by David Spaven refers to British Rail in 1971 promoting “the 43-minute journey”, which ran hourly, stopping only at Edinburgh Haymarket. It also launched hourly services on the line – known as the “E&G” in the rail industry – that stopped twice and took 45 minutes. BR’s “half-hourly high speed service” cut the journey time by 12 minutes, which it described in adverts as a “super-boon to all travellers”. In his book, Spaven described this as “the apotheosis of speed” on the route. However, journey times since lengthened as trains stopped more often and for longer, and now about half the passengers use intermediate stations. More trains also now share the line. Spaven wrote: “Counter-intuitively, the inter-city journey has become progressively slower. The closure of Falkirk High tunnel for repairs led to a temporary direct service from Linlithgow/Polmont to Glasgow via Falkirk Grahamston, and users successfully lobbied for permanent calls to be made by E&G trains when normal service resumed, thereby slowing the end-to-end timing. 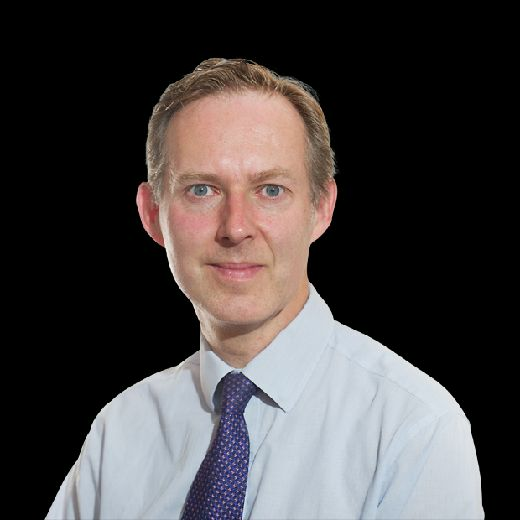 “A conscious decision was made to prioritise building up intermediate commuter business by adding extra calls to ‘express’ trains, at the expense of end-to-end journey times. “With additional intermediate stops, the inter-city journey was stretched out to a standard 48–50 minutes.” This later became 49-51 minutes. ScotRail wants to cut the fastest journeys to 39 minutes, while Transport Scotland said 37 minutes was still possible “subject to affordability and wider capacity choices”. Scottish Conservatives transport spokesman Jamie Greene said: “Passengers will be dismayed to learn that only two trains a day will meet the 42-minute target we were promised. It’s unbelievably disappointing for a project that has ran £100m over budget and is delayed by 18 months. “For years now, passengers have endured delays, disruptions, cancellations on the line in the hope journey times would be significantly cut. They’ll now be lucky to get a four minute reduction. A spokeswoman for the Scottish Government’s Transport Scotland agency said: “The comparison made to decades-old services is simplistic at best and all but ignores the significant benefits Egip brings to passengers and communities across the Central Belt.